It is difficult to imagine a more challenging, complex (and controversial) issue in medicine than Medical Assistance in Dying (MAiD)…and also one so clearly in need of thoughtful and measured policy development as issues rapidly evolve. Never one to shy away from necessary conversations, however contentious, Dr. Gaind has become a nationally and internationally recognized leader in bringing a considered, scholarly approach to the evolving MAiD framework. Canada’s policies and legislation had to rapidly change following the February 2015 Supreme Court ruling in Carter v. Canada that deemed a blanket ban on assisted dying violated the Charter of Rights and Freedoms. While the Court ruling indicated consideration of physician assisted death (PAD) would need to account for psychological suffering in addition to physical suffering, there had been no consideration or submission of how issues specific to mental illness/mental health would need to be considered in developing Canada’s physician assisted death framework. As President of the Canadian Psychiatric Association, Dr. Gaind spearheaded submissions and testimony that initiated key national policy discussions related to mental illness/mental health issues and implications that needed to be considered in any MAiD framework. Dr. Gaind has spoken nationally and internationally on these issues, and in 2017 he was appointed to the Council of Canadian Academies Expert Panel on Medical Assistance in Dying Where a Mental Disorder Is the Sole Underlying Medical Condition. 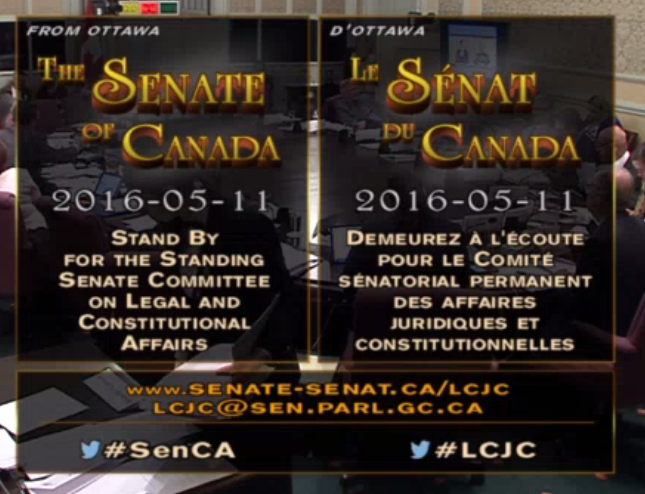 Video Testimony to Senate Committee, May 11, 2016.